‘Knowing what you do now, would you have done anything differently?’ is a classic interview question – we ask it in our 60 seconds with… questionnaire (see page 39). Answers often provide interesting insight into a person’s character and the reasons for their success. A variation on the theme – equally revealing – is ‘What would you do If you were starting out now?’. All of us at times take comfort in the idea that success is merely a question of being in the right place, at the right time. For a lucky few it is, but in our hearts we know most successful people make their own luck, which requires vision, hard work and perseverance. So, at Channel Live, it was interesting to hear Daisy founder Matt Riley say that if he had his time again he would create the best possible customer-focused sales machine and outsource everything else – “I wouldn’t do any billing; I wouldn’t do any collections; I wouldn’t do any installation; I wouldn’t do any maintenance”. 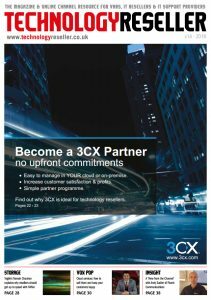 Cloud technology (and Daisy’s evolving services portfolio – see four-page insert) make such a model increasingly viable. For those with vision, ‘right time, right place’ will always be ‘right here, right now’. Outsourcing might be a strategic decision for some, but for many it will be done out of necessity, to cover a lack of in-house expertise or to meet a customer’s requirement for additional services. As the skills shortage bites and recruitment becomes harder after Brexit (see page 5), it is possible that more businesses – resellers and their customers – will be tempted to take advantage of IT services offered by organisations in countries with low wages and good IT skills, countries like Bulgaria, perhaps (see page 32). 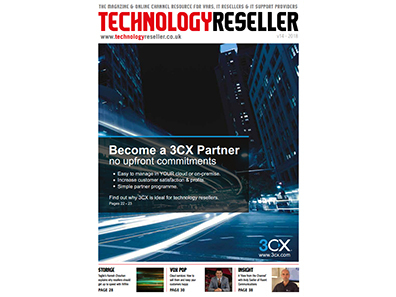 For distributors, providing IT and sales training to combat the skills gap could be a good way to build relationships with customers and head off the growing threat from etailers identifid in CONTEXT’s Channelwatch 2018 report (see page 37).